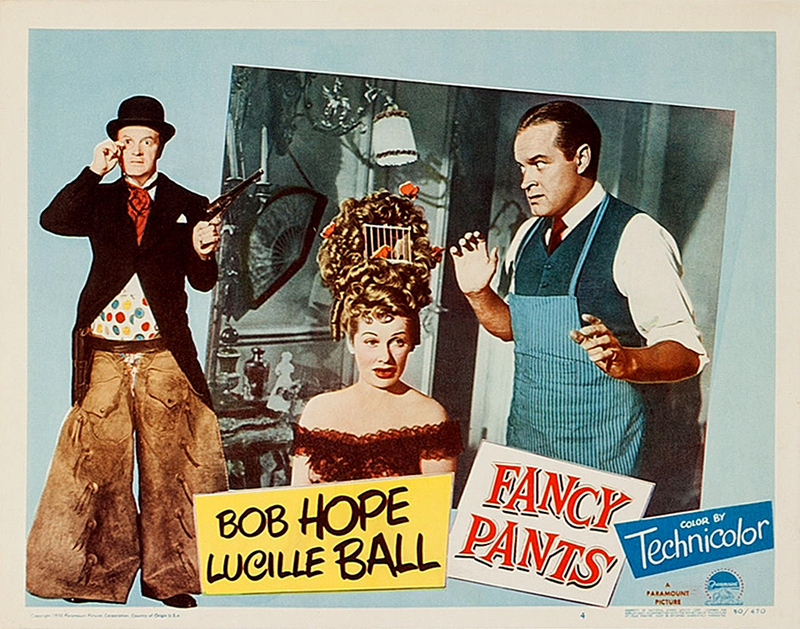 FANCY PANTS—now that most of the generation that aged along with them are gone, and the current demographic-dominating Millennials confuse them with 19th-century Presidents, it can be a nice goose for us who, as kids, enjoyed Bob Hope and Lucille Ball and then grew disaffected with them as they got old (how dare they) and phoned it in, to recall how good they were in their prime. 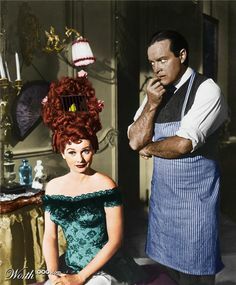 This popular 1950 comedy has a goodly number of laughable scenes (in an old-fashioned way) as it does a rework of Ruggles Of Red Gap to suit Hope’s persona as hapless goof, and Ball’s as brassy wisegirl. He plays an out-of-work actor, pretending to be an English butler, hired to carry on the deceit for his employers (cue daughter Lucy) when Teddy Roosevelt comes to their western cowtown for a speech. Silly is, silly does, but generally amusing, apart from some period Native American stereotyping that no longer sits well. Directed at a 92-minute clip by veteran George Marshall , it made $7,400,000, #19 for the year, and co-stars Bruce Cabot, Lea Penman, Eric Blore. If not as good as Bob’s The Paleface, it still rates some applause. Second team up with Ball, after Sorrowful Jones, followed a decade later by The Facts Of Life and Critics Choice. 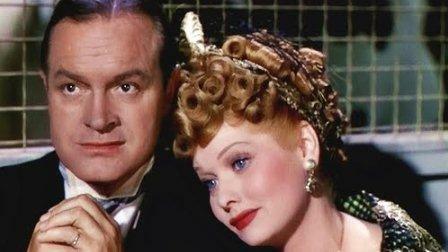 I Love Lucy began the year following this release.